Every August I get that “new school year” feeling. You know, the one were you feel like you can reinvent yourself and get a fresh start? I still get this urge every year even though I am 28. I work at a university, so I think this that helps keep this feeling alive and gives me a definite start date for the school year: August 24th. As that date quickly approaches, I wanted to make a list of the things that always make me feel renewed, and some ways I plan to prepare for the new “school year”. Think back to when you were in high school or middle school and how the week before the first day back felt. What were you doing? I know for me, I was going shopping with my mom so I could have the “perfect” back to school outfits. It was a chance to totally change your look, a chance to start over and be someone new, someone better. Right? Even if you are no longer in school, don’t work at a school, or don’t have children in school, you can still pick up on this fun feeling! There is so much to look forward to in the fall: cooler weather, holidays, more time with family, baking, football games, tailgating, longer walks, pumpkin everything, and lots of coffee! So every August, I think about how I want the semester to go. I want to be more organized, stick to my exercise and healthy eating plans, look more polished, and enjoy every minute of the cooler weather. Buy a new planner. While I do a lot of my daily planning with work through Outlook, I love to have something physical to write in, and a space to keep personal appointments. I’ve been drawn into the Erin Condren planner world, so I may be checking this one out for the upcoming year. New hair cut and color. This is always the fun part! I plan to get a hair cut before September 1st to kick off the new season and to rejuvenate my style. I always like to dye my hair a shade darker for fall too. I’ll be getting quite a bit cut off, so I’ll have to share a before and after! Invest in some new fall clothes. I successful completed one of my summer goals; cleaning out my closet! 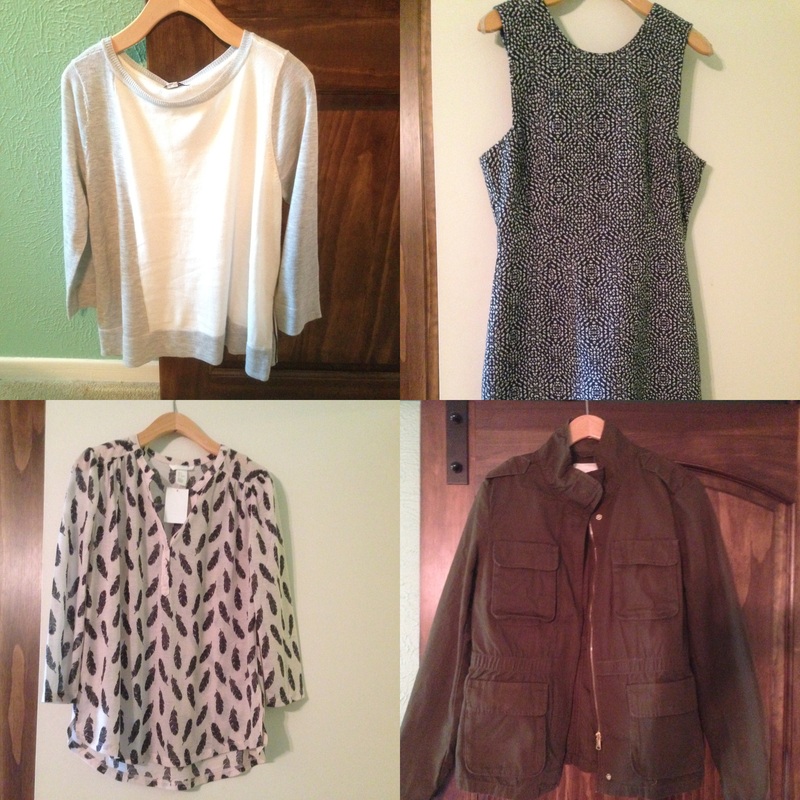 I headed out on tax free weekend here in Texas (yep… I was one of those crazy people), and picked up a few new pieces for fall. I’m a lover of comfy sweaters, and the one on the top left has zippers on the sides! Plan something to look forward to. Having holidays in the schedule always helps, but sometimes, those are not the most relaxing weekends. Nick and I plan to pick one or two weekends to plan something fun, or even just take a day off and have a stay-cation. Do something for my fitness goals. I know that as soon as my schedule gets cramped, I tend to slack off in the workout department. I plan to pick out a 5K race close to my house to keep me motivated! 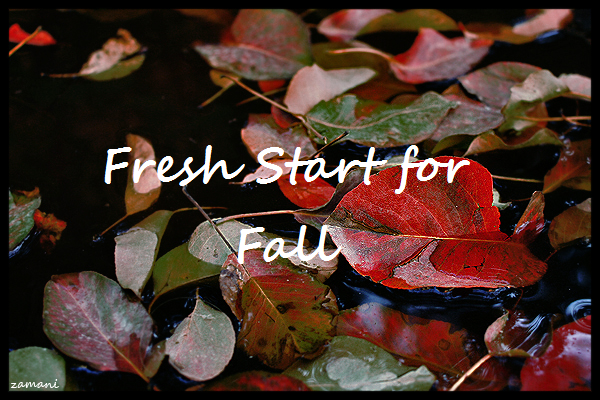 What are you all looking forward to most this fall? top photo credit: seyed mostafa zamani, adapted, cc. Previous postashleyanchored was nominated for a Liebster Award! So true! I get the same feeling every year in August 🙂 Great post! Hi Ashley! It definitely has me craving fall weather. Thanks for stopping by!